Brown is an Army experimental test pilot (XP) with the Aviation Flight Test Directorate at U.S. Army Redstone Test Center, Alabama, part of the U.S. Army Test and Evaluation Command. 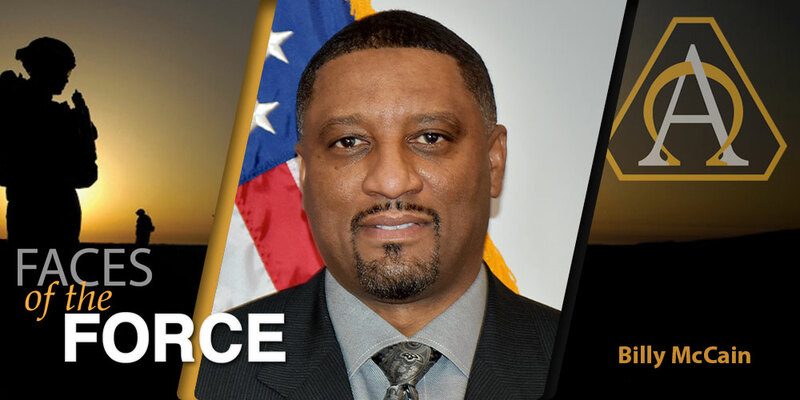 As chief of the Aircraft Survivability Equipment Testing Division, he manages and executes engineering and developmental flight tests of various aircraft components and systems, mainly survivability systems incorporated into rotary-wing and fixed-wing Army aircraft. “These technologies aid the warfighter’s threat awareness in flight and greatly increase their chances of avoiding—and even defeating—complex radar, infrared and laser-based threats,” said Brown. 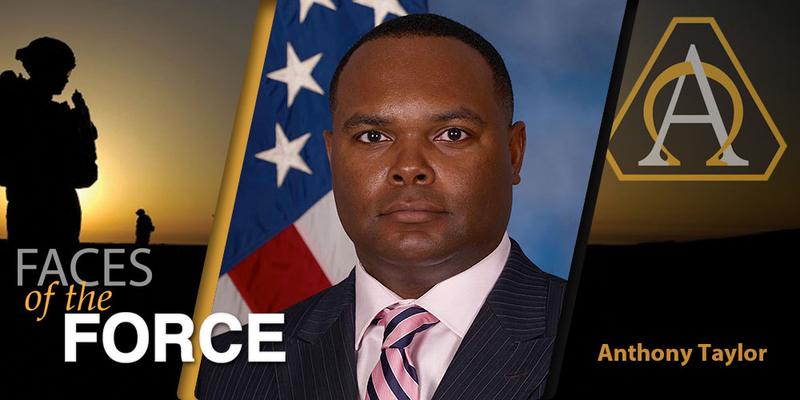 Brown was an aviation officer before coming to the Army Acquisition Workforce and completed two tours in Iraq with the 1st Combat Aviation Brigade, 1st Infantry Division. 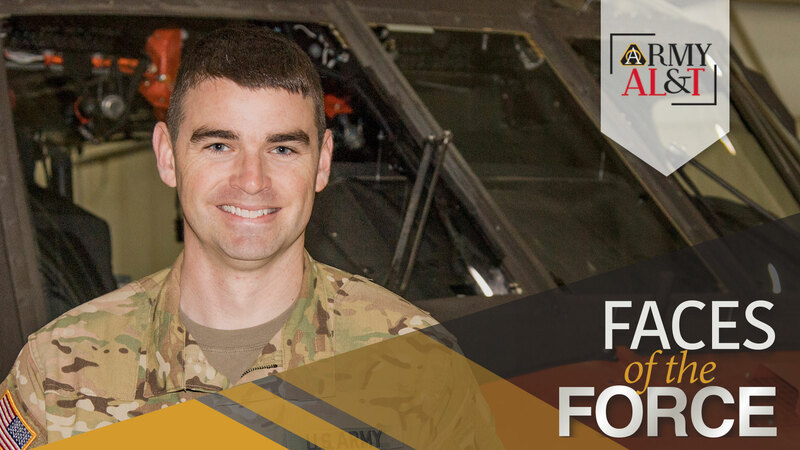 After finishing graduate school in 2014 through the Advanced Civil Schooling program, he spent two years teaching in the Department of Civil and Mechanical Engineering at the United States Military Academy at West Point. The XP application process included being accepted into the Acquisition Corps as a functional area 51A (program management) officer while also completing the multistage selection process to be an XP candidate. “While fundamentally 51As, XPs are branded 51Ts [test and evaluation officers] as well,” Brown explained, “and we must first serve in a 51T position and meet the associated requirements, including Level II certification in T&E [test and evaluation] in two years,” he explained. Brown attended the yearlong U.S. Naval Test Pilot School at Naval Air Station Patuxent River in Maryland. Graduating from that school incurred him a T&E officer utilization tour requirement but also counted toward many of his T&E certification requirements. The biggest challenge he faces is managing aircraft schedules. “The average battalion might have 24 aircraft, all of which are the same. So if, for example, one Black Hawk isn’t ready, a flight crew can just move to the predesignated identical spare and complete its mission for the day,” Brown said. “But in a testing facility, we might have just a fraction of that number of aircraft of a single type, for example, and none is the same. They’re all in different stages of testing, outfitted with different prototypes or modifications, and have different test instrumentation equipment installed. Brown noted that the most valuable training he has received so far in his career came from his assignment at the Naval Test Pilot School. The yearlong school incorporates more than 100 hours of flight training in rotary-wing and fixed-wing platforms, covering more than 15 aircraft types. “It starts with first principles on aircraft performance, aircraft handling qualities and aircraft systems, then builds over multiple exercises and test reports toward a monthlong, comprehensive evaluation of an aircraft for a specified mission,” he explained. The final report requires students to combine their aviation expertise with what they’ve learned in training to assess the suitability of an aircraft for warfighters’ needs. “The school teaches us to be a bridge between the tactical and the technical communities, which is right where the Army Acquisition Workforce operates,” Brown said.